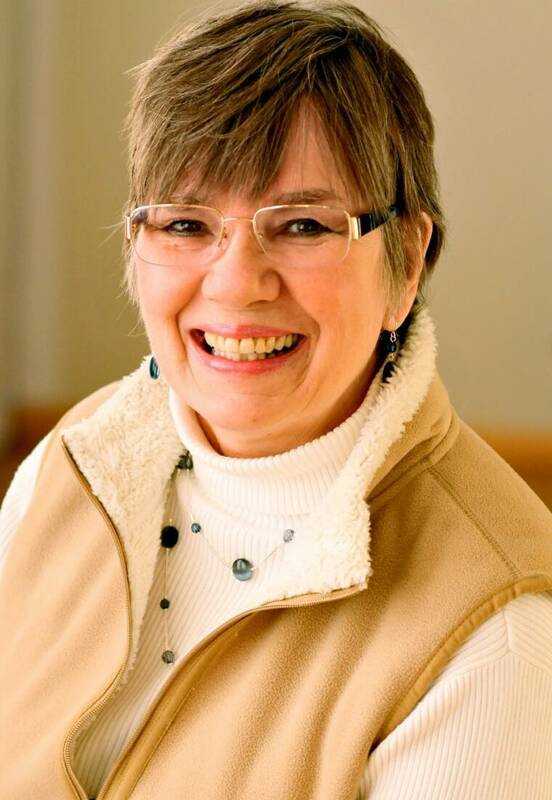 PSRS Tutoring by Pat Doran, M.Ed. 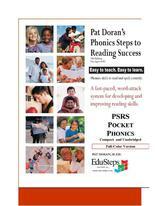 PAT DORAN'S PHONICS STEPS TO READING SUCCESS, 5TH ED. Increase ability to spell correctly! Decrease behavior problems caused by reading struggles. Increase self-esteem issues caused by reading struggles. Correct some problems caused by dyslexia "symptoms." IMMEDIATE SUCCESS for the student and for the teacher, as well! Takes about 20 instructional hours for English speakers. Younger students and English language learners take longer, of course. No teaching experience is required! Everything is laid out clearly! Background knowledge for the instructor is embedded in lessons. Teacher directions and student responses are clearly noted. All that is required is that the teacher or instructor can read English fairly well. Most of the teachers or instructors say they learned a thing or two how to read better. 1. Teacher reads information as indicated by a red book logo. reading concepts taught in that lesson. FREE Online Program Support via e-mail or phone. Convenient for one-to-one instruction, small group, or for large-group instruction. Ease of use for one-to-one tutoring or may be used on a document projector. The text is identical to the full-color version. However, the color-coding and cues that appear in the full-color version will appear in various shades of gray. This in an optional spelling and vocabulary journal. 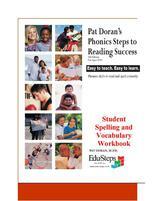 The pages for spelling and quizzes are aligned to PSRS, 5th ed. There is a section in the back for a personal vocabulary journal for written and illustrated definitions. and learning disabilities as related to faulty reading instruction. for students in 4th grade through college.